Acutely ill homeless men arrive at Joseph’s Home in Cleveland’s Central Neighborhood knowing they will receive a range of services to help recover their health and successfully transition to permanent housing. Nursing care, case management, wellness counseling and financial counseling are the most common needs. But, behind the success of each man who completes the Joseph’s Home program, there’s another key element: occupational therapy. Occupational therapists and assistants help patients who are dealing with illness, injury or developmental delays to gain the skills they need to function and succeed in daily life. For seven years, students in the occupational therapy assistant (OTA) program at Cuyahoga Community College have been coming to Joseph’s Home for field experience. Preceptor Debbra Harbst Lisy, M.A., OTR/L teaches in the Tri-C OTA program and assigns students to sites for field work. In her opinion, Joseph’s Home presents a unique opportunity for training. “Being at Joseph’s Home helps students to see some of the non-traditional ways occupational therapy can be involved in a patient’s recovery, and to practice non-traditional intervention techniques,” says Lisy. The students aren’t the only ones to benefit from the field experience. The trainees’ time at Joseph’s Home gives them an opportunity to make a significant impact on the lives of residents. For example, according to Lisy, students Demetrius Collier and Deanna Mixon learned that Joseph’s Home residents were struggling to organize their belongings and paperwork effectively – to the point that the disorganization could interfere with their access to care. The students worked with the residents to help them gain the organizational skills they needed to overcome this challenge. Sister Regina Fierman, CSA is a certified OTA and a 1995 alumnus of Tri-C’s program. She was instrumental in the founding of Joseph’s Home and worked there from 2000 to 2009. It was through her efforts that Joseph’s Home and Tri-C formed their partnership. Joseph’s Home Executive Director Georgette Jackson believes so strongly in the value of providing occupational therapy services for Joseph’s Home residents that she serves on the advisory committee of the Tri-C OTA program. CLEVELAND, Ohio — Joseph’s Home gives homeless men with acute medical problems a place to stabilize by giving them shelter, often for months at a time. For Wendell Kimbrough though, the agency’s saving grace happened in a matter of hours. “The day they accepted me, if I hadn’t gone there, I would have been on the street and died,” Kimbrough, 62, said recently at the Cleveland apartment where he now lives. Joseph’s Home, located in a former convent near St. Vincent Charity Medical Center, as well as Family Promise of Greater Cleveland in Cleveland’s Mount Pleasant neighborhood, supply refuge to people who otherwise might be forced to sleep in chilly cars, along bleak freeways or on a friend’s cramped couch because they lack one of the most basic human needs. Family Promise serves a different niche than Joseph’s Home in the homeless world — families with children. Latasha Burrell was working as a housekeeper in Detroit in 2012 when bills and late fees spun out of control. She was on the verge of eviction, and shelters in Detroit turned her away because she had five children. She took her search for help to the Internet. She was desperate. Then she hooked up with Family Promise. The agency and Joseph’s Home offer homelike settings — private rooms and small apartments — in contrast to the noise, chaos and crowded quarters common to homeless shelters. 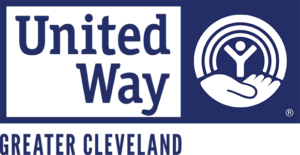 They are among 20 nonprofits chosen by readers of the Northeast Ohio Media Group to receive money from its Good News Giving holiday charity drive. To make a secure donation, go to cleveland.com/goodnewsgiving or use the contribution form printed in The Plain Dealer. The 20 nonprofits, as well as 30 other agencies, also get free advertising in The Plain Dealer, Sun News and on Cleveland.com. The living room of the apartment where Kimbrough moved in June 2012 overlooks the Shops at Church Square at Euclid Avenue and East 79th Street. From a narrow balcony he can point out the turret of the James A. Garfield Monument at Lake View Cemetery and a bell tower on Euclid Avenue, still standing after demolition of St. Agnes Church. Urban studies is an interest of Kimbrough. He has taken classes in the field at Cuyahoga Community College. It is one of the ways, along with getting his own apartment, in which Kimbrough has found a degree of self-sufficiency after near-fatal medical problems left him with no place to go. In a peach-colored sweater, Cleveland Browns cap and with a ready smile, Kimbrough doesn’t dwell on his medical condition. But he has no hips and is mostly confined to a wheelchair. Multiple failed hip replacements left Kimbrough’s finances in tatters in 2011. He lost his apartment and was sleeping at the home of an acquaintance and in bus stations. Then a space opened at the 11-bed Joseph’s Home. The day Kimbrough arrived he collapsed from an intestinal hemorrhage. “I bled out. I was cold to the touch,” Kimbrough said. As he recalls the day, he struggles to retain his composure. Yet, the emotion he shows is out of gratitude. “The holy ghost came out of nowhere and warmed my heart and soul until the paramedics got there,” he said. Joseph’s Home Executive Director Georgette Jackson said the nonprofit is serving significantly sicker men than a few years ago, perhaps because of a growing population without health insurance. “We’ve seen people with up to seven or eight different medical problems going on,” she said. Besides acute medical conditions, job loss can leave people without a roof over their heads. Foreclosure, lack of health insurance and low wages also push people on the street, say agencies that serve the homeless. The average real annual income of working poor people in the U.S. was $9,413 in 2010, the National Alliance to End Homelessness reported. The study could find no county in the nation where a family with an average income of $9,400 could afford fair market rent for a one-bedroom apartment. Joseph’s Home is a ministry of the Sisters of Charity Health System. Its residents arrive from local hospitals, emergency shelters and clinics. The average length of stay is almost five months. The home is typically full. Michael Allen ended up there in October 2010, after the concrete worker’s back and kidneys were injured in a fall from a three-story building. He had been helping put on a roof in a side job to earn money for the holidays. The kidney damage is permanent. He needs dialysis and a dresser top of prescription drugs to stay alive. He fell behind on his bills and rent. A worker from Joseph’s Home who came to pick him up found him despondent. Allen said he thought he was being taken to a dangerous and ugly shelter. But the nurse said, ” ‘Wait til you get there. I think you’ll be surprised,’ ” Allen recalled. He was. Flabbergasted, in fact. “It was just like a hotel room. Nice bedding. Clean. It was private. You felt safe. It was comfortable,” he said. Still, his losses were keen. He not only was badly injured, he lost all the belongings in his Bedford apartment during his sudden move. “Everything I had worked for,” the 60-year-old said. Joseph’s House social worker Rodney Dial stepped in. Allen now lives at Euclid Beach Villa. He visits Joseph’s Home on his way to and from dialysis. He sits on the Joseph’s Home Alumni Board. Latasha Burrell moved with her children to Northeast Ohio when Family Promise could get them into its emergency shelter program, which it operates in coordination with more than 70 local faith congregations. The organization also has 14 two- and three-bedroom apartments on Kinsman Road in Cleveland. The agency also backstops families once they move into permanent housing through regular visits to provide guidance on budgeting, job retention and child care. “Our goal is to help them prepare so when they hit life experiences that challenge them, they can work through it,” development director Yvette Hanzel said. In August, Burrell and her children moved into a townhouse that she can afford because of full-time work as a cashier for MetroHealth Medical Center. Joan Maser, executive director of the nonprofit, said homelessness can be traumatic. “No matter how much or how little you have, it’s a destabilizing place to find yourself,” she said. India Marshall worked hard on job readiness after she landed at Family Promise with her four-year-old daughter. Marshall promised herself that as soon as she was stable, she would get certified as a computer numerical control machinist. Marshall left Family Promise after finding a job with 1-800-FLOWERS, moving into her own apartment almost two years ago. She enrolled at Cuyahoga Community College for machinist training and is completing the second of three semesters needed for a certificate. The goal after that is a four-year industrial engineering degree. To contact Joseph’s Home, go to www.josephshome.com, or call 216-685-1551. To contact Family Promise of Greater Cleveland, go to www.familypromise.org, or call 216-767-4060.